Guestpost by Martha – cheers Martha! I have been promising to write these up for your regular correspondents for so long, I expect they thought it would never happen. Is there an Italian for ‘Mañana’? I love artichokes and garlic and lemon in savoury dishes (also lemon in sweet dishes, I really just love lemons) so these looked like a match made in heaven for me. Another guest post by Martha (first one here). Thanks Martha! I knew I’d struck vintage cookbook gold the moment I laid eyes on the cover. 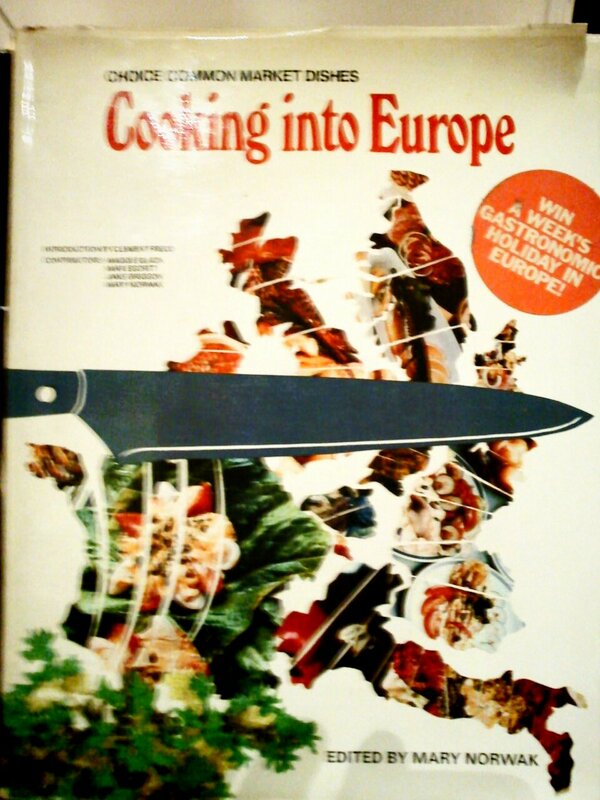 “Cooking Into Europe: Choice Common Market Dishes”, with its offer to “Win a week’s gastronomic holiday in Europe!” and its colourful, often unappetising photographs, could not fail to provide hours of joy. I was right too. Best £1.50 I ever spent.